Portland has been high on my list of places to visit for quite some time now and I'm excited that we'll finally be heading down there bright and early tomorrow! I have a few places in mind that I'd like to check out, Powell's Books, Voodoo Doughnut, many brew pubs, the Laurelhurst or Hollywood theatre and many other (surprise, surprise) food related places. 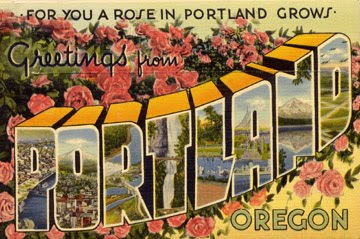 I'd love to hear your thoughts on places to check out if you've been to or live in Portland, the more tips the better! Keep in mind we won't have a car, so easy-ish places to get to please!